Every year, WordPress gives each blog a year in blogging page. It’s not as thorough as my monthly reviews, but it’s interesting nevertheless. Take a look at my 2015 year in blogging. So, I had around 37,000 views, and my best day had 250 views. And there have been posts every single day of the year. Not only that, 2 posts a day at least! What I set out to do this year, I achieved in terms of blogging. It was my biggest year in terms of views, comments, and posts. I always make a monthly post on my top commenters. Well, looking at the year in blogging, the top commenters are stomperdad (467), Joanne Corey (345), S. R. Carrillo (313), Thomas Weaver (208), and H. Anthe Davis (166). It was a slow year for reading, though. I only finished 10 books. I’ll do another post regarding these after I’m no longer in the company of in-laws. But the last two days proved that I can read more than 10% of a long book in just a couple hours. So, there’s no reason why I can’t make 2016 a much bigger year in reading. All I need to do is spend an hour or two reading every day, which I think I could easily do. We’ll see how that goes. 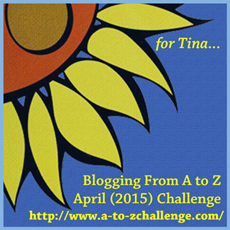 I had a big writing event this year, and that was the A to Z Challenge. I completed it successfully, writing a very short story for each letter of the alphabet in the Ariadne universe early after colonisation. I even made it into a chronological series of loosely connected stories. I think I’ll collect them all and put them on my official author’s page in the new year. And so, this post marks the final post of 2015. May 2016 bring another few hundred posts and even bigger things. And I have some big things coming up. I have an international book project to start up in January, an interview on a podcast sometime in the new year, an international move in March, and a big return to writing after April. So, look forward to it! It’s now only ninety days until we go to Canada. It’s getting so close, it’s finally feeling real. One of the biggest real things happened today. We sent five boxes of things to Canada. We’ll send more another time, but this is just the first part of our actual physical move. They should take about two months to arrive in Canada. Much of what we sent were some clothes, some personal use things, our daughter’s hina dolls, and twenty-nine of my books. As for sending my books, I’ll probably only get to send about half of them, while the other half is either thrown away or sold to Book-Off, which I discovered has an English section near where we live. Some of the books I’ll try to sell include Harry Potter, some Terry Brooks books, Terry Pratchett books, and some others. I can easily buy them again in Canada. Some others I hope to take are some of my Japanese textbooks. I have to remember that I can take two checked suitcases and a carry-on bag, and so can both my wife and daughter. My daughter has a lot of toys, but not all of them are coming with us. One thing my daughter needs to do when we arrive in Canada is get registered for kindergarten. She also needs to get used to speaking English. She’s been making big strides recently with English, and has been using a lot more than she used to. She still speaks mostly Japanese, though. Well, I hope everyone’s having a good holiday season. One more post this year, and that’ll be it until January 1st! Every country has its signature flavours. Japan has several flavours that are uniquely Japanese. However, these are not what you would typically expect from Japanese food. 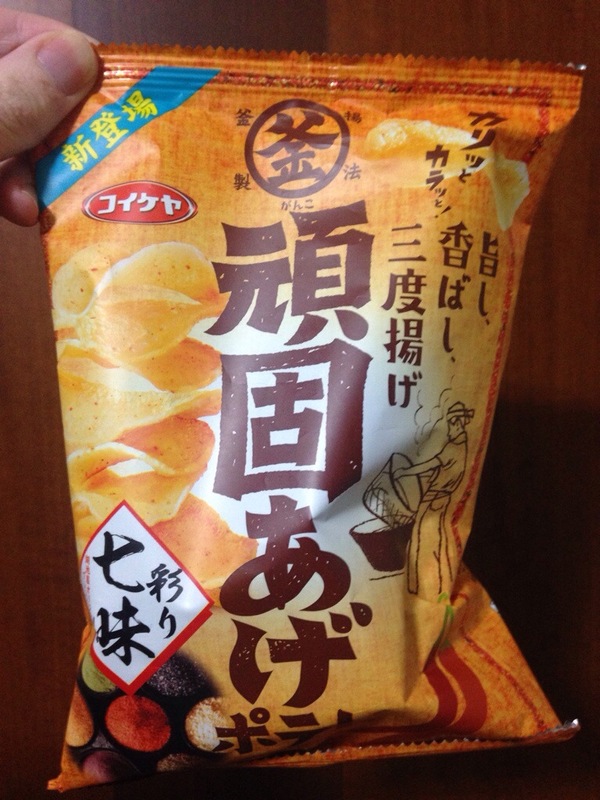 First is Shichimi Potato Chips. Shichimi means seven flavours, and that’s what it is. There’s a spice called shichimi that’s spicy, primarily from the paprika. It’s a popular spice you can find in many restaurants. 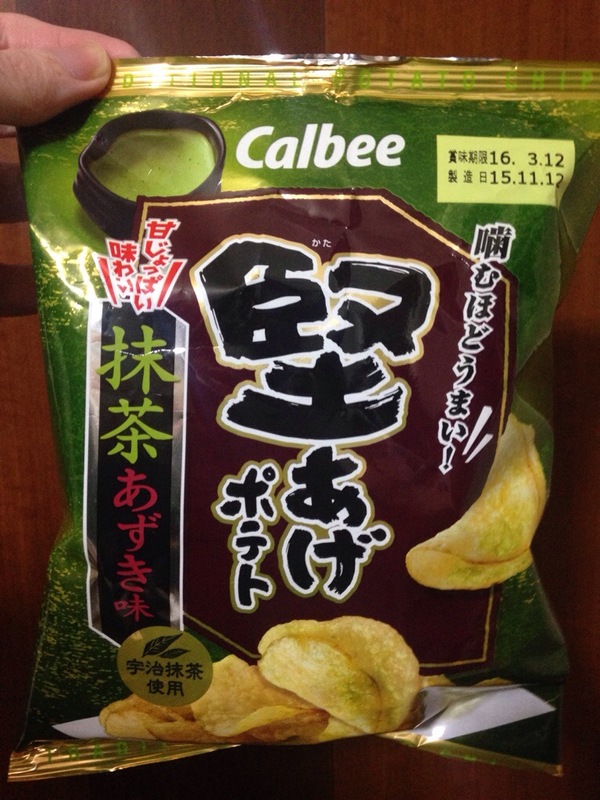 Second picture is another potato chip flavour. This is yuzu koshou, or yuzu and black pepper. Yuzu is a citrus fruit with a bitter flavour. Yuzu koshou is a popular condiment in Japan. 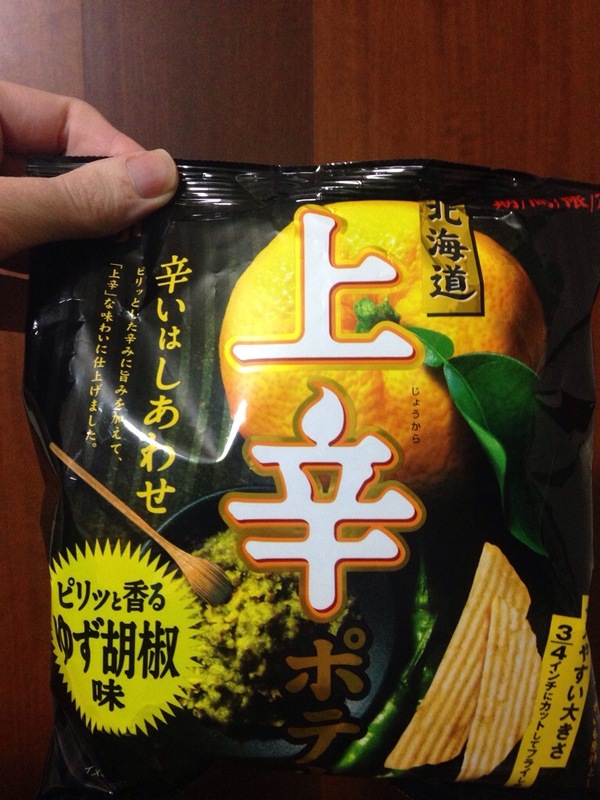 And this is the same flavour, yuzu koshou, but on a kind of rice snack. 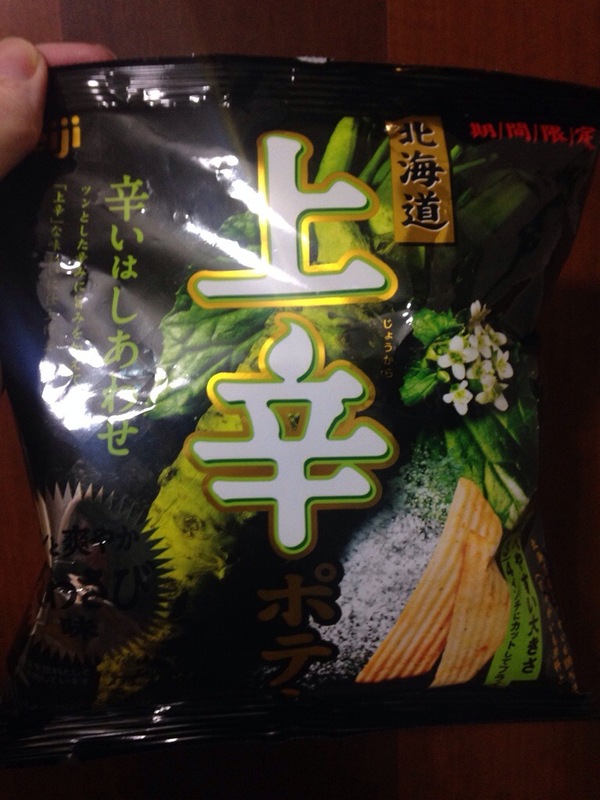 Here is another flavour, shio wasabi. That’s salt and wasabi. Wasabi is a popular condiment for sushi and sashimi, of course. 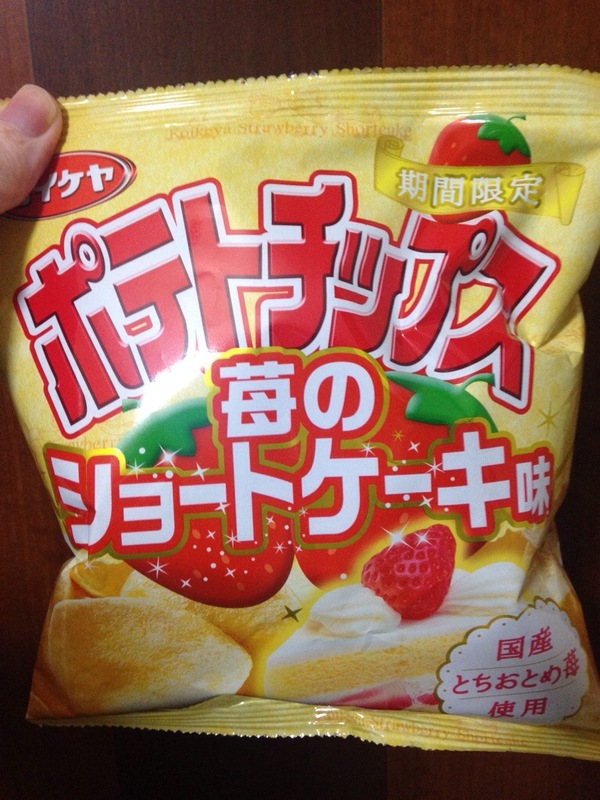 This is probably the strangest flavour of all, strawberry shortcake. 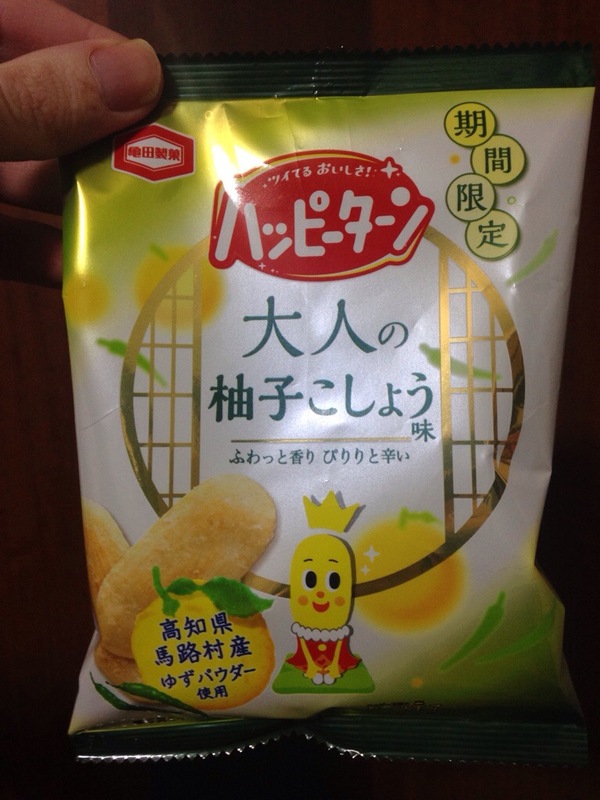 Potato chips that are sweet. Odd combination. I didn’t really like these, to be honest. And finally, a couple very Japanese flavours combined into one: matcha azuki. Matcha is green tea, while azuki is sweet beans. And then for some noodles, I had these tonight. They’re soba noodles. 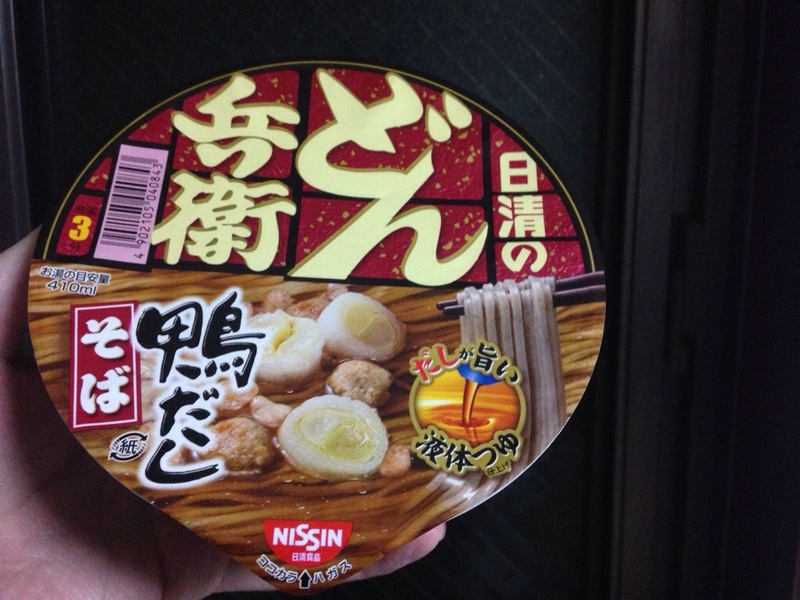 Usually, the popular flavours are soy sauce, miso, or salt. However, this was duck flavoured. It wasn’t bad. Any unusual flavours in your part of the world? Share them with us. Looking for a Writing Competition in 2016? 2016 is the year I become much more serious about my writing. After moving to Canada, I want to focus on Ariadne and get as much done as possible. However, there is a possibility I may join a writing contest. I found this list of contests on the Almond Press website. Some of them are free, but most you have to pay to enter. There are some good sized prizes available. The very first one catches my eye, actually. It’s only 750 words, though it closes on January 15th. It’s very soon. The grand prize is €50, which isn’t a huge amount, but it’s something. I may give it a try. Although many say International, the one by Readers Digest is only open to the UK and Ireland. Another has a prize of a four day holiday in Provence. Interesting! And then there’s the one that’s held every month, the 99 Words contest, which has no monetary prize, just your story getting published on their site. Do any of these contests catch your eye? Do you know of any other writing competitions? Let me know in the comments below. The next language to take a look at is one that is probably closest to English than any other language (other than Scots). It’s the native language of The Netherlands, and is also spoken in several other places, such as Belgium, Suriname, Aruba, Curacao, Sint Maarten, and is also the mother language of Afrikaans, which is spoken in South Africa and Namibia. Considering it’s similar to English, it’s said to be one of the easiest languages for English speakers to learn. Let’s find out. — I am a man. Basically the same as in English. There are a few accents, though. But quite easy. For an English speaker, the pronunciation based on the spelling takes a little getting used to. It’s not as expected. For example, “j” has a “y” sound. The vowels can sound different than expected, as well. It’s not as straightforward as some of the Romance languages, but I think I can get used to it after a short time. Quite similar to English with a few exceptions. Some pronouns have several forms (“zij” and “ze” for “they”, “wij” and “we” for “we”, etc) and nouns have gender. Articles can also be a bit different. “Een” is “a”/”an”, and pronounced similar to “an”. However, the definite article, “the” is either “de” or “het” in Dutch. The rules don’t seem clear for these, so they just have to be remembered. Verb conjugation seems fairly straightforward, though. I found it easy to remember the words and grammar, and could translate the very simple introductory sentences into English quite easily. I retained the vocabulary pretty well, and needed little review. I think pronunciation will need the most work. I enjoyed Dutch, and look forward to learning it. I believe I’ll be able to learn it quickly, compared to some other languages. Have you studied Dutch? Are you interested in it? Let me know in the comments below. I’ve talked about this game before. No Man’s Sky is a massive game consisting of billions of unique planets with billions of unique plants and animals, and you can travel all around the galaxy discovering and exploring. There’s piracy, battles, trading, or just plain exploring. Here’s a video I saw on Cobra TV’s YouTube channel. There are more videos on their channel about No Man’s Sky. What we didn’t know about last time I talked about this game is that there’s now a release date. It’ll be available in June 2016 for Sony Playstation 4 and PC. I think I may be exploring a galaxy next summer. I don’t think I’ve ever been so excited about a game before. I’ll probably post about it again sometime next year. Anyone interested in this game? Where Can You Find Me? All of you who are subscribers of my blog can find me in your newsfeed or in email notifications. However, you can also find me in many other places. And I don’t just mean social media. So, where can you find me? First, let’s look at the social media sites. I’m very active in two places, though I do update in several social media sites. First is Twitter. I have more than 3,000 followers there, and I find it a quick way to talk to people. I check it several times a day, so if you ever want to talk to me there, that’s a good place. So, please follow me on Twitter! Second is Facebook. I have a Facebook page for this blog, and I update there whenever I update this blog, but it’s also a good place to get in touch with me. I only have 61 people following me there, but I’d love to have more. If you haven’t done so, please like my Facebook page. I also update regularly on a couple others. First is Google Plus. There, I have 67 followers, so it’s not a lot. But if you’re on there, please add me to your circles. And then there’s Pinterest. All of my posts go up there in different categories. I have 30 followers, though they’re mostly friends and family. But you’re very welcome to follow me there! Outside of social media, there are several websites where I’m active. First is YouTube. I have a channel there, and I really think you should subscribe. I have 42 subscribers at the moment, and I have a large number of videos coming soon. So, please go over and subscribe. I’m also on Goodreads, and I’m always updating my reading there. I have a lot of books, so you can see what I like and what I want to read. Once I’ve published a book, I’ll be using it a lot more. So, go on over and become a friend. And finally, I’m regularly at Critique Circle, where I participate in the forums and put works in progress up for critiquing. I also critique stories. I have a free plan, so I can add friends, however, I can add you as a favourite. So, come on over and add me as a favourite author, then send me a message. I’ll add you back. I’m looking forward to seeing you on many of those websites. Are you members of them? Which ones? If you want others to follow you, go ahead and leave links to your profiles in the comments below.